When it comes to finding the right real estate agent, property owners are often faced with wading through a minefield of conflicting information. Unfortunately for the public, the source of such confusion can all too often be tied back to commission-based agents. Selling a home or an investment property can be a stressful time, so it's incredibly important people are armed with the right information. We've identified the top three misconceptions that commission-based real estate agents don't want you to know. In fact, it’s quite the opposite. Every additional day it takes for a property to sell delays the income of a commission-based agent, ultimately decreasing hourly rates. After sharing commission with a head office, an agent on average commission (2.2%) who achieves a $10,000 increase in the sale price of a property, would only get around $110 in their pocket. Given the extra work needed to get that $10,000, it stands to reason an agent will look to close a sale as soon as possible and move on – regardless of it being the best option for the property owner. One of the most common industry misconceptions is that commission-based agents are more dedicated than those who work for a flat price agency. Like many sales roles, agents employed by Upside Realty earn a salary with bonuses awarded on performance. This means Upside agents are motivated by these incentives, as well as job satisfaction, career progression, ongoing training opportunities, and freeing them up to support clients all the way to the finish line. Before the digital age, most buyers saw property listings at local real estate offices and agents had their own network of buyers and sellers. Now buyers search online and agents have access to extensive local market data. This leaves traditional brick and mortar storefronts largely irrelevant. 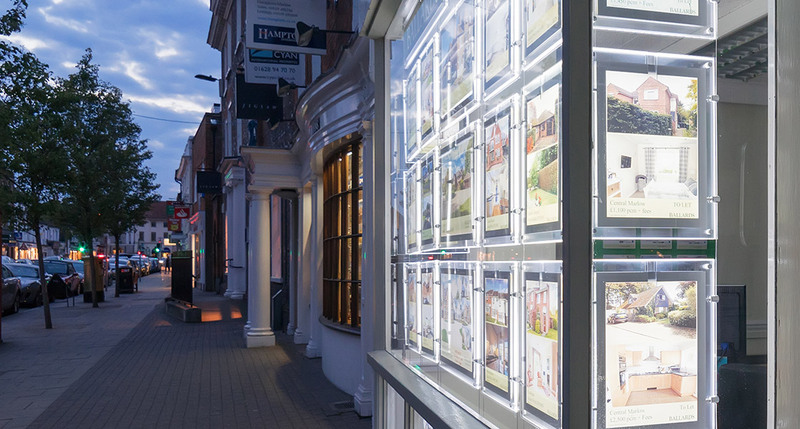 Yes, it’s still important to work with experienced agents but they don’t need a shopfront in your suburb to get the best price for your property. At Upside, we charge a fixed fee of $7,500 for private treaty and $8,500 for auction to manage everything from photography and marketing to open homes and liaising with buyers. Our real estate agents are also paid bonuses (by us, not you) based on the level of service, not just the sale price. To find out more, book a no-obligation property appraisal with Upside today.